In my opinion, though nicely done, neither the stringing nor the strings in this no. 50 set are authentic, and two strings are lacking. Could some of you please comment on this, by written massage or - preferably - by sending a detailed photo of a doubtless authentically stringed set? It may have to be restrung, and the lacking ones have to be added anyway. Restringing may not be an easy job. Could someone share his experience with me/us? 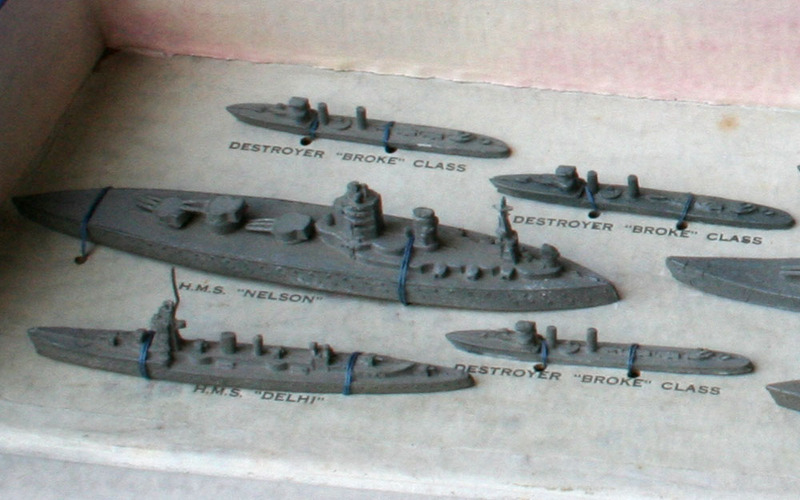 I have some of these ships but I find it hard to identify the model names and part numbers. 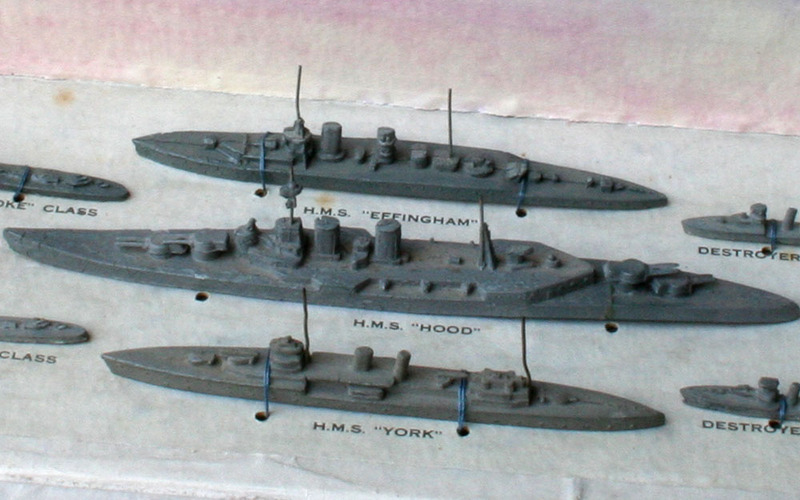 Is there a location (book or WEB site) that I can access to identify the models? I looked at Richardson's book and did not see any pictures of the models. Hi Bob, an old thread this is! In all these years I haven't made a decision yet. In the mean time I bought spare ships in order to replace the poor examples, but I am still waiting at the occasion to come across a satisfactory replacement cord. Indeed it is hard to find good photographs for identification. The whole set tends to be shown, rather than the single parts. 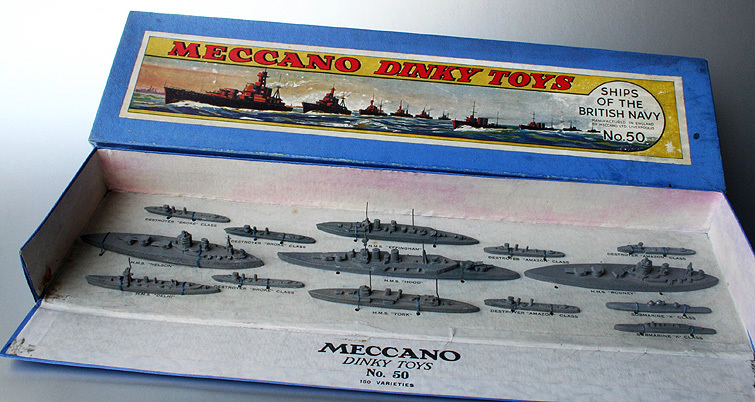 And there are several contemporary brands that made similar models too (without brand names and model names underneath, like many Dinky/Meccano examples), the small ships of which are very hard to distinguish.